Sit back, ladies and gentlemen, history is about to be made. Now that Kristen and I are both 21, we decided it was high time to make our first “adult-friendly” shenanigan! 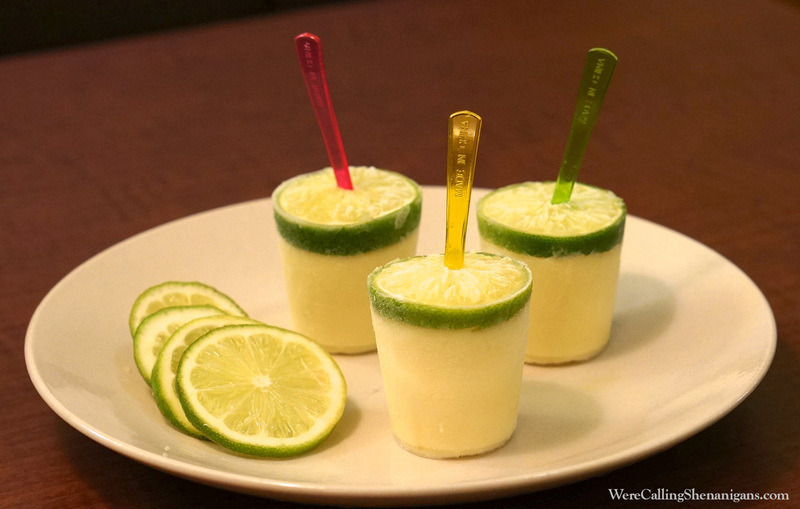 We were scrolling through Pinterest the other day looking for summertime snacks to make, and we came across these Margarita Popsicles. Seems like a delicious pool-side treat, wouldn’t you think? Just like having a frozen cocktail while lying out, but more portable and less spill-able (and if we’re about anything here, it’s the practicality of our snacks). They were very cute, but we weren’t so sure about how they would turn out. We mean, alcohol doesn’t freeze, right? 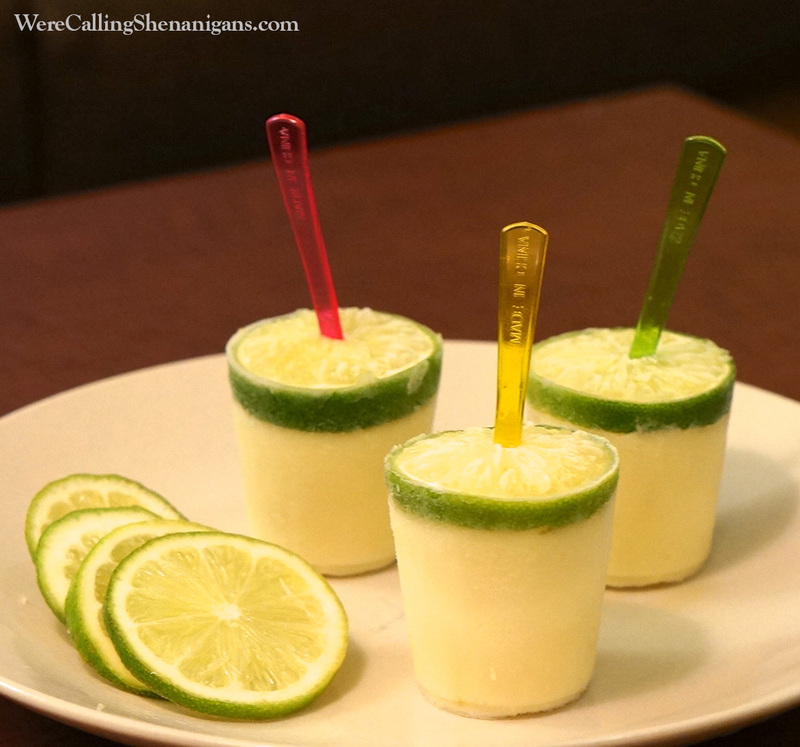 But the recipe called for tequila, so we decided to call shenanigans and give it a whirl! 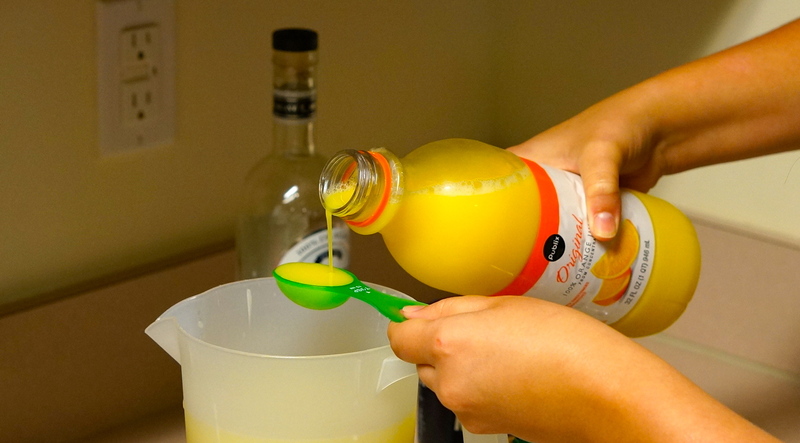 Mix the tequila, lime juice, sweetened condensed milk and water in the pitcher and stir until well combined. It’s important to do this in a pitcher or something else with a spout to make pouring the popsicles easier. 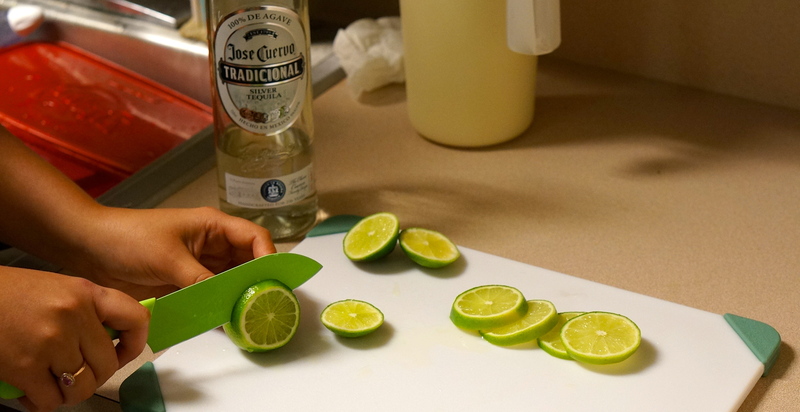 Cut the four whole limes into 1/4 inch round slices. Now you’ll be assembling your popsicles. 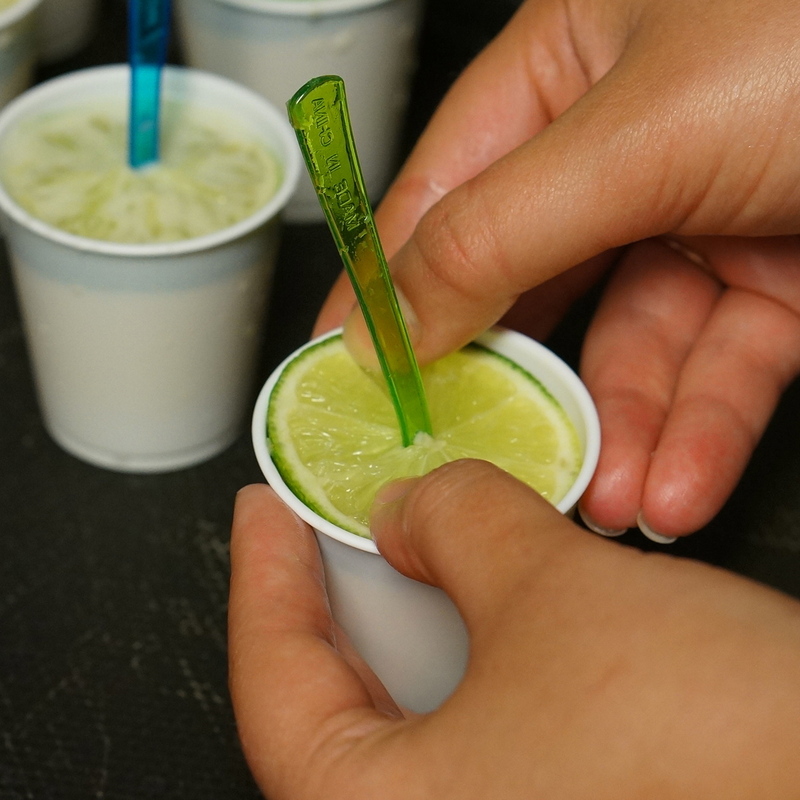 It was helpful for us to place each lime slice in a dixie cup before pouring the popsicle, allowing us to see how far down the lime slice sits in the cup. 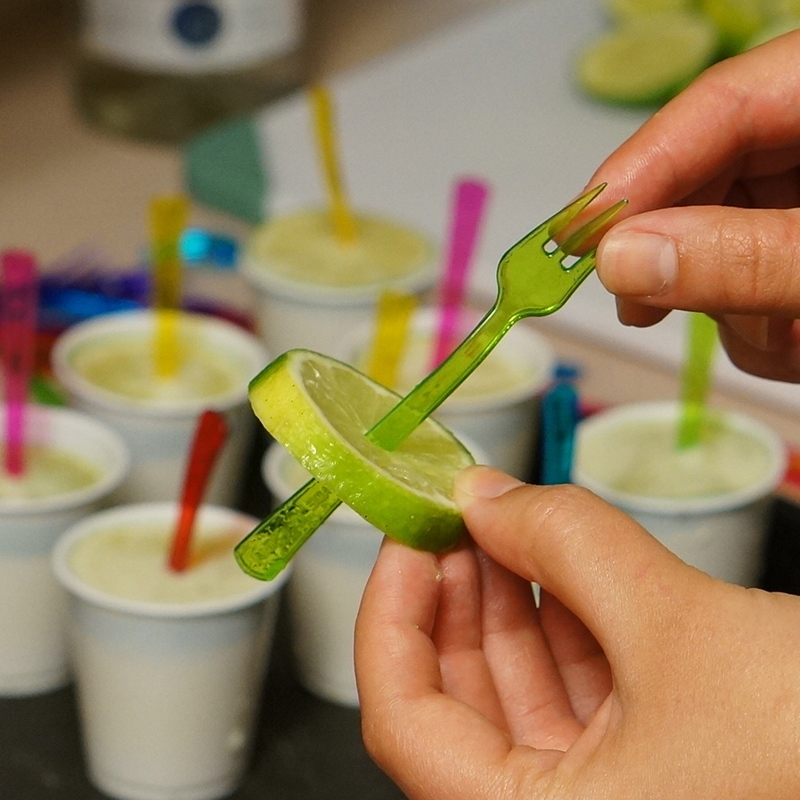 Once you have an idea of where the lime will be, push your tiny fork (or craft spoon) through the center of the lime slice. 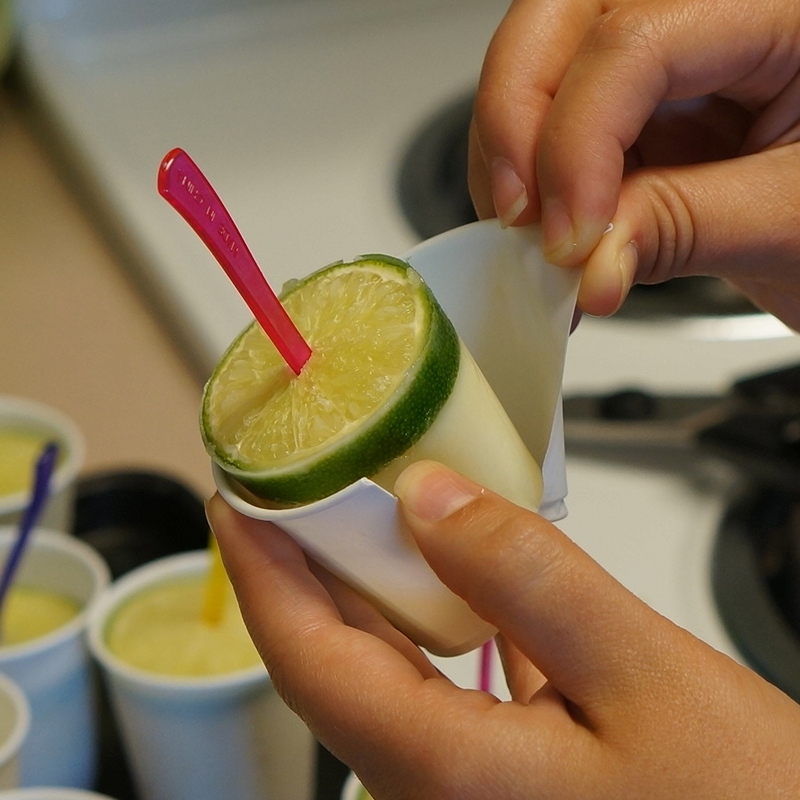 Pour the popsicle mixture into the dixie cup up to the point the lime slice will sit. 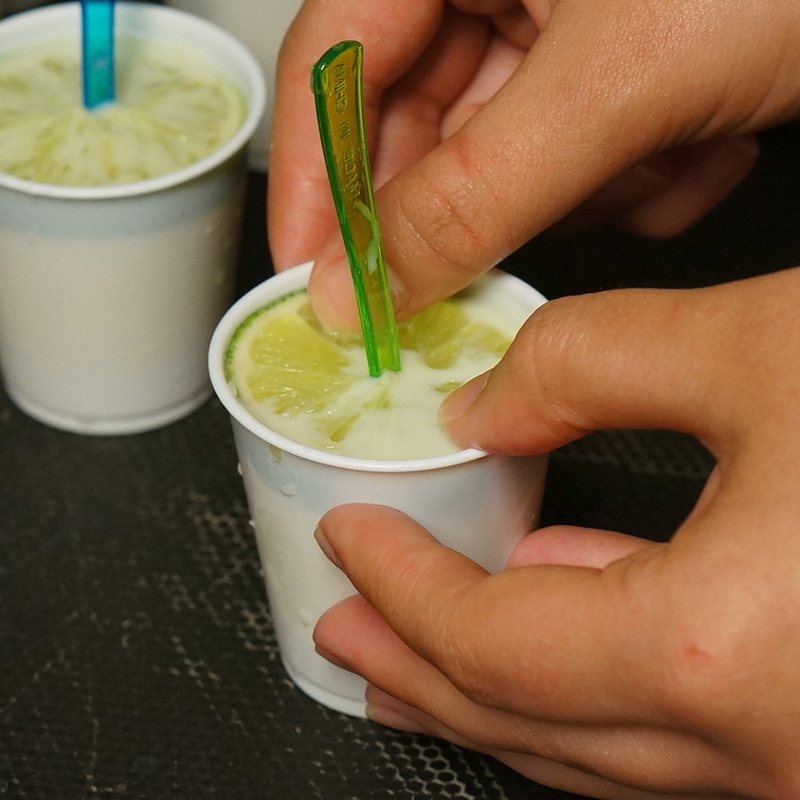 Place the fork and lime, prong side down, in the cup on top of the popsicle mixture. 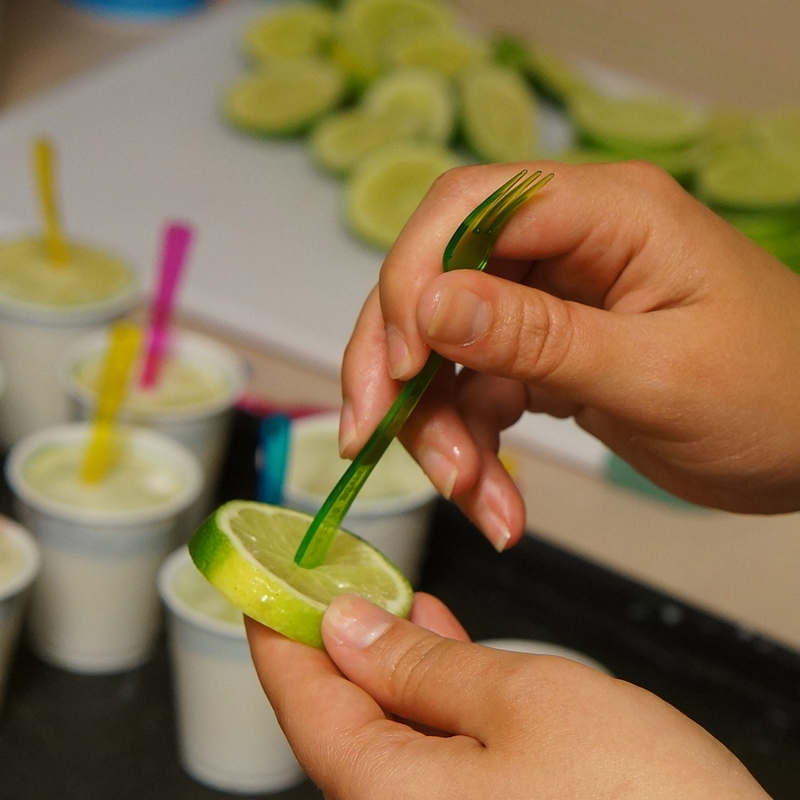 Press the lime slice down to make sure it is in full contact with the mixture. Repeat until you are done preparing all popsicles. Place the popsicles on a baking sheet and freeze them overnight. When you want to serve them, sprinkle the tops generously with salt. 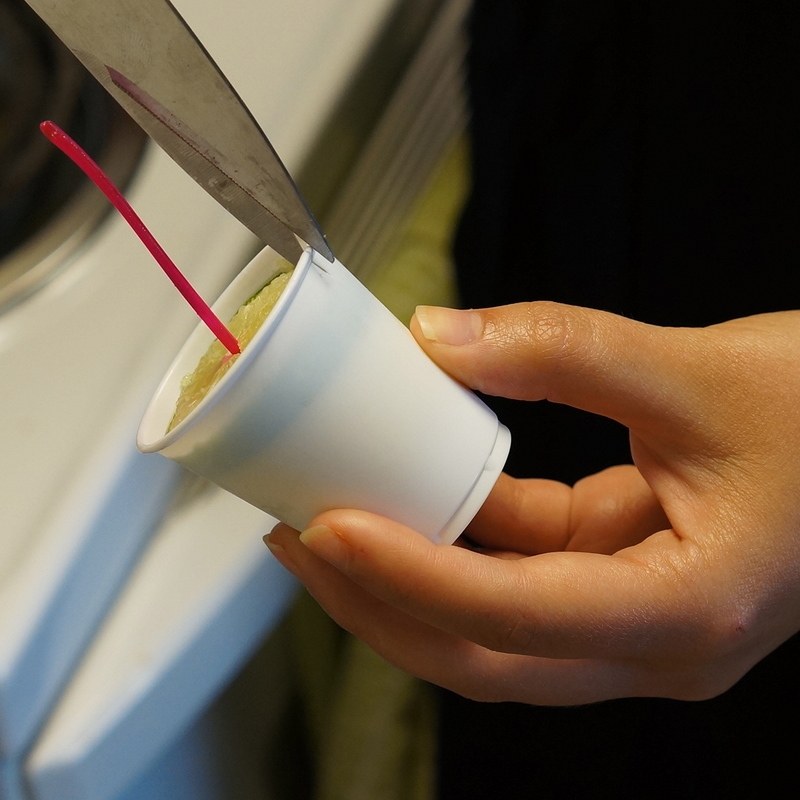 Then use scissors to cut a slit in the dixie cup and peel it away from the popsicle. Ta-da! Congratulations! 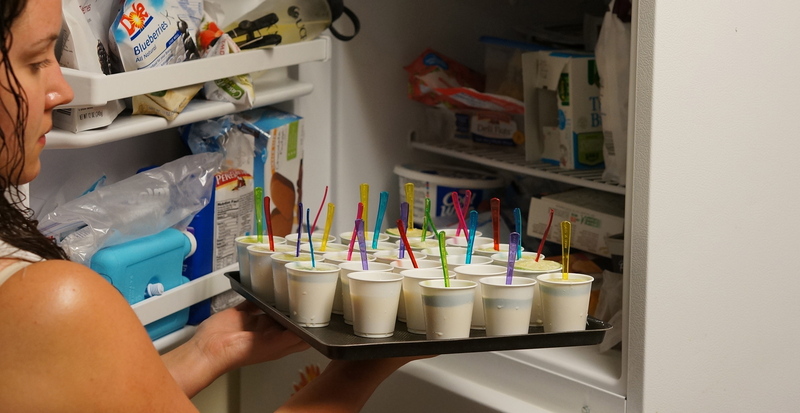 We bet you just completed your first-ever alcoholic popsicles! This shenanigan was definitely fun. 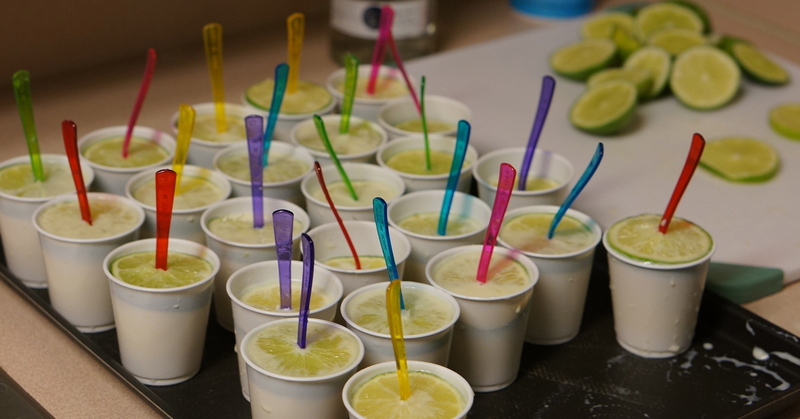 These Margarita Pops are out of the box- if you bring them to a party we guarantee you won’t run the risk of anyone else bringing them too! We served them at a dinner we hosted and they were a cute way to end the evening. The Pops were yummy, but we both felt that they were almost too sweet. 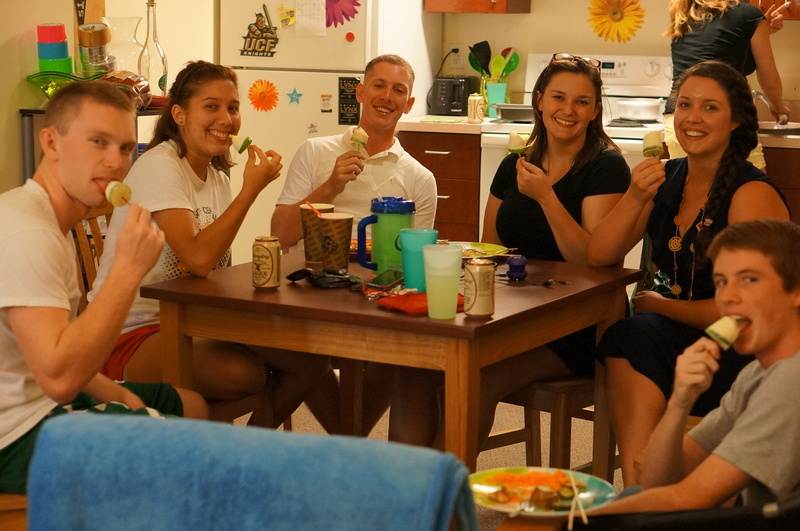 They were slightly reminiscent of a key lime pie- good, but not what we were expecting. We had a little trouble finishing ours without going into sugar coma, but some of our friends thought they were perfect. Overall, we liked the way this shenanigan turned out. They’re a little intense, but we still think they’d be a lovely addition to a pool day with your friends! But be careful- they melt fast! Check out some of our other fun treats below!